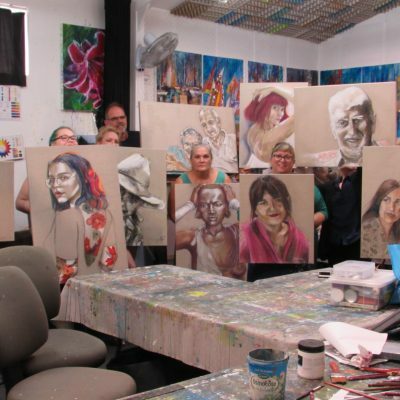 Unlimited access 2+ hours Acrylic & Inks Painting Workshop. De Gillett leads you through every step of painting an Australian Palm Cockatoo. Watch and learn De’s unique techniques with every step you’ll take fully explained. Subscription gives you unlimited, lifetime access – jump in to any chapter at any time and watch as many times as you like! What materials do you need? Find out here. Inking as seen on Colour in your Life! This online inking workshop is the long awaited sequel to Inks #1 – Beginning with Inks. If you’ve had fun learning the basics, imagine what you’ll be able to do with all this new information on what De has now developed with beautiful, colourful, vibrant Art Spectrum Inks! Follow the experienced, exuberant, award winning Australian artist De Gillett in this 2+ hour inking workshop as she leads you through every step of painting a textured, layered, gloriously colourful acrylic and ink painting of an Australian Palm Cockatoo. De is the originator of this unique way of working with ink onto canvas, and over the 15 years since its inception has developed many, many tricks and techniques, all of which are seen here and explained in great detail. Watch and learn De’s unique self-developed techniques as you build your canvas through grounding (the base colours), drawing, spatter ( to introduce vitality and energy), stencilling ( De’s stencils can be found at our shop), impasto textures (to guide the inks as they flow across the textured surface), inking (15 minutes of pure, exhilarating terror!) and finally fix-its and finishing detail (where all the things that went wrong can be addressed and corrected), with every step demonstrated and fully explained. Replete with tips, close-ups and downloadable resource files De makes sure you gain the skills you need to make every future painting full of life and motion. Inking continues to be a medium of great interest across the world, with artists travelling from all across Australia and from far-flung countries to attend De’s in-studio workshops in this technique. We are thrilled to bring you this workshop online, and now that we have it “in the can”, we are working on making it also available on DVD. Subscription gives you unlimited, lifetime access with no expiry date- jump in to any chapter at any time and watch as many times as you like! Fabulous workshop tutorial. Inspired and very excited to try it out. I have found the online inks workshop to be a very useful resource. The attention to detail for setting up your drawing was particularly beneficial. I was able to replay till I perfected the technique. I can’t wait to go through all the steps as the painting develops. De explains the technique at each step with great clarity. This workshop is awesome. As the creator of this technique, I am so in awe of the results people get when making ink paintings! We are just starting to receive feedback from people who have used this course and learned it online, and it is SO exciting to know that IT WORKS!!! Graham and I were never quite sure if people would be able to get all the methods down through a screen and a website, but they can, and we are so pleased. It has given us great impetus to get filming again, just as soon as we can! Wow what an awesome way to learn to paint step by step with the very talented De. Was wonderful watching my painting evolve with every new chapter & the fact that you can go back over things if you don’t fully understand until you get it right. I’m looking forward to more of these amazing workshops so please hurry & get filming Graham & De. Love love love this inking! All the best components of my paintings – spatter, inking, transparent glazes were all learned from De who is such a generous tutor – face to face and on line! I am loving this inking procedure the textures in great detail, it amazes me the way you show us how to use them. De shows in great detail how to do put down your drawing first then through every step to produce a handsome Palm Cockatoo in the end. So looking forward to what you both have coming up next. I found De’s workshop DVD really interesting. Not sure about the piping side of it but loved the beautiful colours achieved. I have since been working in inks mainly completing birds with great results. Love the flow of the inks working together. She is a very talented and creative, interesting artist. I have just registered for Inks 2 online. I was so inspired by De as she worked through the various processes needed to produce a beautiful piece of art. The workshop was so entertaining that I felt disappointed when it had finished. De is not only an exceptional artist but also a wonderful teacher. Thank you de. I hope there will be more courses to come in the future.?? This was a great follow up to a class i did with De in the studio last year. Refreshed what i had learnt and gave me more insight into areas that were niggling at me. It was great fun working with De in person (and i would recommend it) but the online course has the advantage of being able to go back and review the process whenever you want. De’s colour wheel and mixing guide are also great resources. Thank you so much De and Graham. I find this workshop really good as its easy to follow, with all the detail shown. Plus you can go at your own pace stopping and starting when needed. De’s classes are a lot of fun. She is a very generous and talented artist. 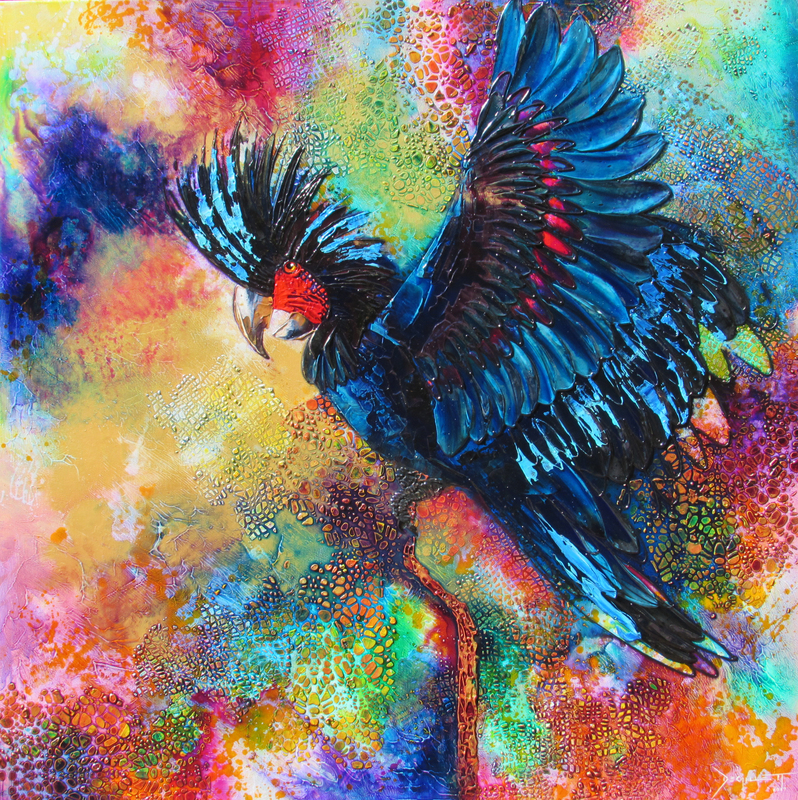 I became interested in the acrylic and inks painting process after seeing the beautiful art De had produced with this process. I attended a weekend workshop run by De and thoroughly enjoyed it. 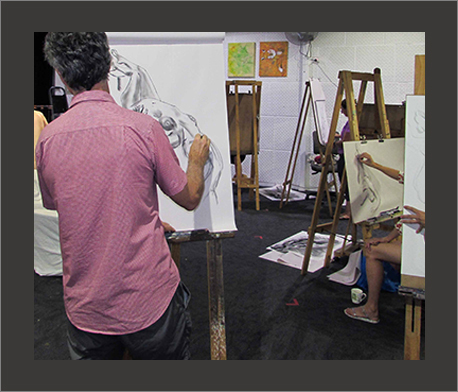 She is an energetic and involved art teacher and this translates strongly into the acrylic ink online workshop. Excellent production provides a professional workshop product online and as a student I found it very user friendly. All the techniques and processs are compehensivly covered and I was able to follow along at my own pace and to replay parts where I needed to. This workshop is fun and the inking added to the acrylic looks amazing in the finished painting even though I have a lot more practice to do. The benefit of the online workshop is I can go back and review it whenever I need to. Great workshop and excellent value for money.